I have just discovered a most useful website which offers real savings on a wide variety of adventures, attractions and museums. Coupons for Fun features real time savings in more than 20 states. The selection is targeted making it easy to browse, select and download coupons to save on family vacation activities. The only catch is that one must download and print ahead of time to receive the savings benefits. 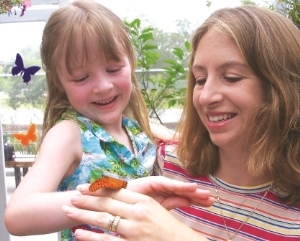 Museum of Science and Industry (MOSI) in Tampa offers families access to more than 450 hands-on activities, a new inventor’s lab, planetarium, IMAX, and a butterfly encounter. If you are looking for spring break deals on fun you will find oodles of possibilities. The site features savings for theme parks, whitewater rafting and whale watching experiences as well as caving adventures, swamp safaris and zipline thrills. The rich menu of savings also includes cultural experiences including gardens, historic homes, performing arts, fine arts museums, children’s museums, science museums, and some delightfully quirky museums. To prove my point I have selected seven of my favorite places from the menu of discount coupon offerings. Energetic Wild Horse Adventure Tours (W.H.A.T.) in the Outer Banks of North Carolina: Download savings of $10 per person for parties of six or more adults. The slightly quirky Madame Tussaud’s in Washington DC: Enjoy a truly interactive experience for 25% off admission. Lively excursions at Roaring Camp Railroads near Santa Cruz, California: 2$ off each general admission ticket for 19th-century steam train or beach train. The inspiring Museum of Science and Industry (MOSI) in Tampa: A coupon for $3 off general admission. The engaging LEGOLAND Discovery Center in Atlanta: A coupon for $5 off general admission. The intriguing Dinosaur World in Glen Rose, Texas: Download $2 off adult general admission. Enjoy your next outing for less.